One of the things that we do want to do while in Spain is to try to find some of the locations that my dad had visited during his trip to Spain in 1954. My dad took a lot of photographs (as slides) and we have them all scanned and on the laptops. So we want to see if we can find some of the same spots where he took the photos and see if we can frame them exactly the same way and see what the same shot would look like now. But I want to try and reproduce the exact spot with the exact same view. Should be a fun exercise at times! And now. Still under construction! Oh, and I forgot to tell you. When we go to Romania in November, we will be connecting flights at Zurich, Switzerland. Fortunately, we've got a five and a half hour layover, and that should be enough time to head to downtown Zurich for a couple of hours! Excited about that...always wanted to see Zurich! That's actually the Barcelona Basilica. The Cathedral is a different building over 600 years old. 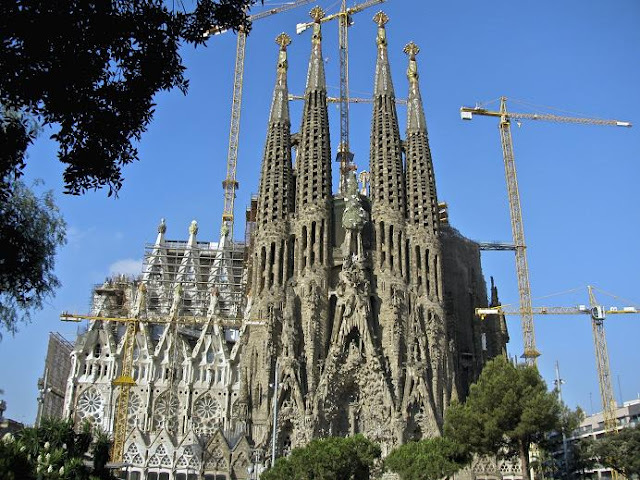 The "Sagrada Familia" should be finished in about 20 years. It is already a masterpiece. And the starting date was 1882, so it has been under construction for a very long time! Would be an amazing sight to see for sure. I'll bet you there are and even more so since the French got too scared to go to Morocco. There is an interesting documentary about the Sagrada Familia called "Sagrada: The Mystery of Creation". I hope you get to go inside (although it's kind of expensive - more than $20 Cdn). I'll see if Kevin is able to find this online and then we can watch it too! Not even sure if we will make it to Barcelona, I guess we will see when the time comes. That is a pretty steep price to see the inside but then again, I think it might be worth it! 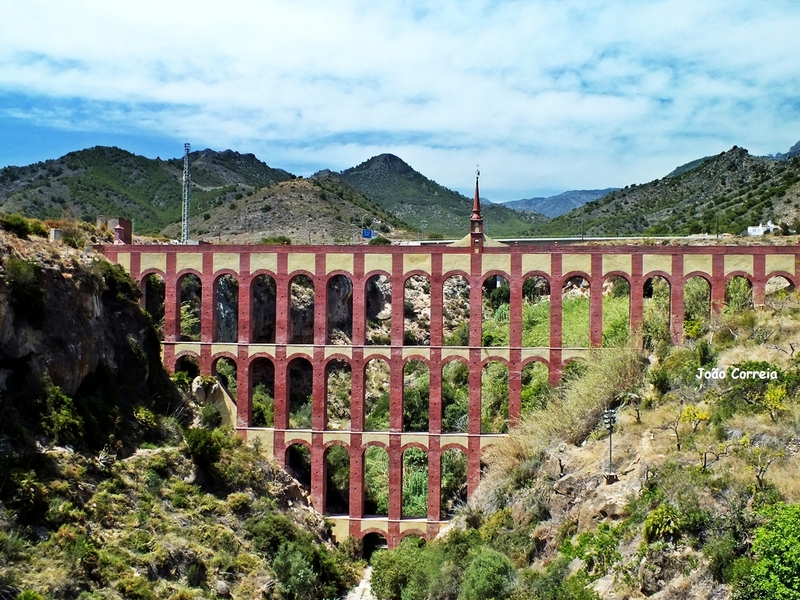 I love your idea of trying to reproduce your dad's perspectives on various spots in Spain. That will provide some nice goals for the trip and interesting places to visit as well. Looking forward to seeing your then and now photos on the blog! We love the idea too, I definitely should be interesting, there should be some really beautiful and historic places that we will get to see. Thanks Glen, I am sure that Kevin will be checking them out!